(1) Books; (2) Programmes; (3) Photos; (4) Trophies; (5) Medals; (6) Badges; (7) Old or Olympic kit; (8) Unwanted stopwatches (Do not have to work); (9) Documents; (10) Other relevant items suitable for display or reference. Should you have any of the above that you would like them to consider, please contact Mike Fleet 020 8647 1341 or email mike@mafleet.co.uk. Please consider the following 2 items which have been on this website for several years. SURREY RECORD - UNDER-17 WOMEN 1500M STEEPLECHASE - Competing in the Bill Whistlecroft Spring Festival Open Meeting held at Yeovil on 20th April 2019, Martha Collings (Woking AC) set a new record of 5:08.39. This was an improvement on the previous record of 5:13.72 set by Katie Balme (Herne Hill Harriers) in July 2016. Surrey Records for Under-17 Women. Image above from SCAN No. 15 showing Bob (No. 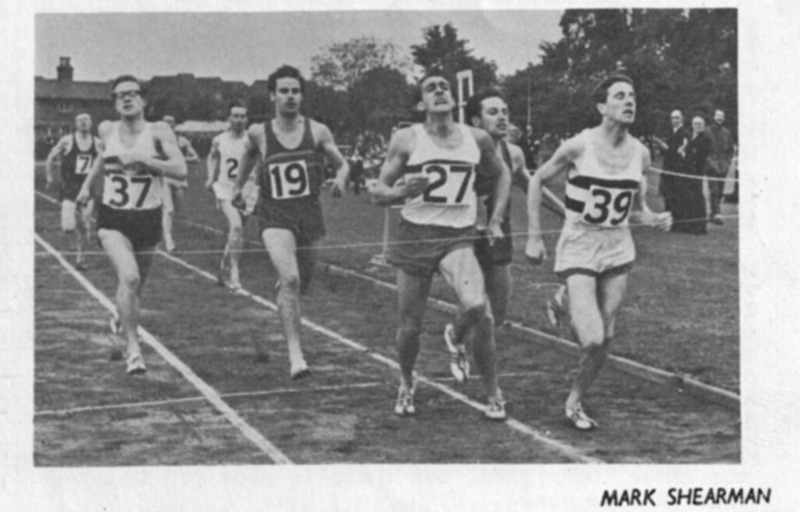 39) winning Surrey 880 yards in 1982.